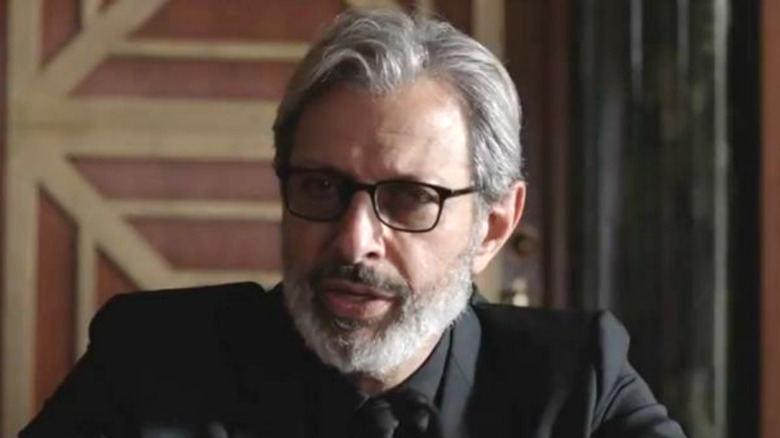 It sounds like Dr. Ian Malcolm will keep a safe distance between himself and the dinosaurs in Jurassic World: Fallen Kingdom. But he's probably fine with that. Although much has been made about the return of Jeff Goldblum as his Jurassic Park character, director J.A. Bayona told The Independent that Goldblum won't have much screen time in the sequel to 2015's Jurassic World. "He's more like a cameo," Bayona said. "He doesn't have a major role in the action, but it's definitely a very meaningful one in terms of the story." It sounds a lot like Dr. Malcolm might only appear in the one scene we saw in the trailer. During that sequence, he's giving testimony about whether or not it's worth saving the dinosaurs from extinction again. Still, Bayona and screenwriter Colin Trevorrow wanted to make sure he had a presence in the movie. "He's always somehow been the voice of the conscience in these movies, telling us where the red lines are," Bayona said. "For Colin and I, it was about finding connections with the old trilogy, that makes it very rich as we are expanding Jurassic World but also finding new connections with Jurassic Park." As for those other ties, Bayona said, "We have James Cromwell playing a character who has a relationship established with John Hammond [the character played by Richard Attenborough in Steven Spielberg's 1993 blockbuster], and we have B.D. Wong playing Dr. Wu again. It's kind of exciting when you find your connections take the story to a whole new level. It's an illusion of the same universe." Still, it would've been nice to get more Goldblum. Jurassic World: Fallen Kingdom, starring Chris Pratt and Bryce Dallas Howard, rumbles into theaters on June 22, 2018.